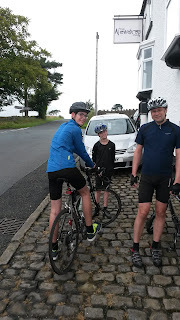 We have been off work for the last two weeks and have been doing lots of cycling, we have done a variety of rides ranging between 10 and 50 miles and at a rough guess have clocked up around 150 miles. 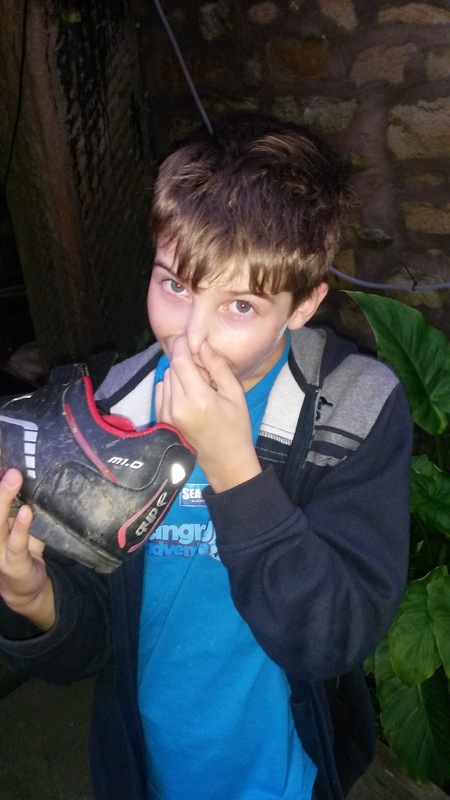 We all have a pair of shoes that we always cycle in and these can become a bit smelly when worn regularly. 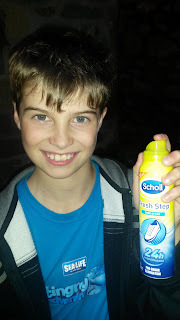 I was recently contacted by Scholl to see if I would be interested in reviewing some of their foot care products and one of the products I was sent was the Scholl Fresh Step Shoe Spray. Scholl Fresh Step Shoe Spray is specially formulated with dual-action formula to instantly eliminate odour and provide shoes with 24 hour odour protection and freshness. It dries with no residue so you can have the confidence to take off your shoes anywhere and anytime. We checked all our shoes and Mark's were the smelliest so we decided to put it to the test with his shoes first. Luke sprayed the shoes and we left them overnight to give the spray time to work. When we checked them in the morning they smelt much fresher and were ready for the next bike ride! We have started spraying our shoes as soon as we return from a ride and it seems to be keeping the smells at bay! When I am not cycling I generally wear heels so was thrilled with the Scholl Party Feet Ultra Slim Invisible Gel Cushions that I was sent to try. 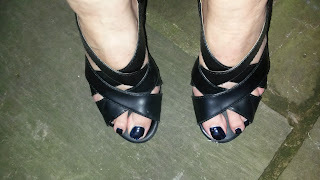 I had never tried a gel cushion before but after putting them in my work sandals I have been really impressed with them. Normally my feet are hurting by the end of the day but I was amazed the first time I used them as my feet felt so comfortable all day long. 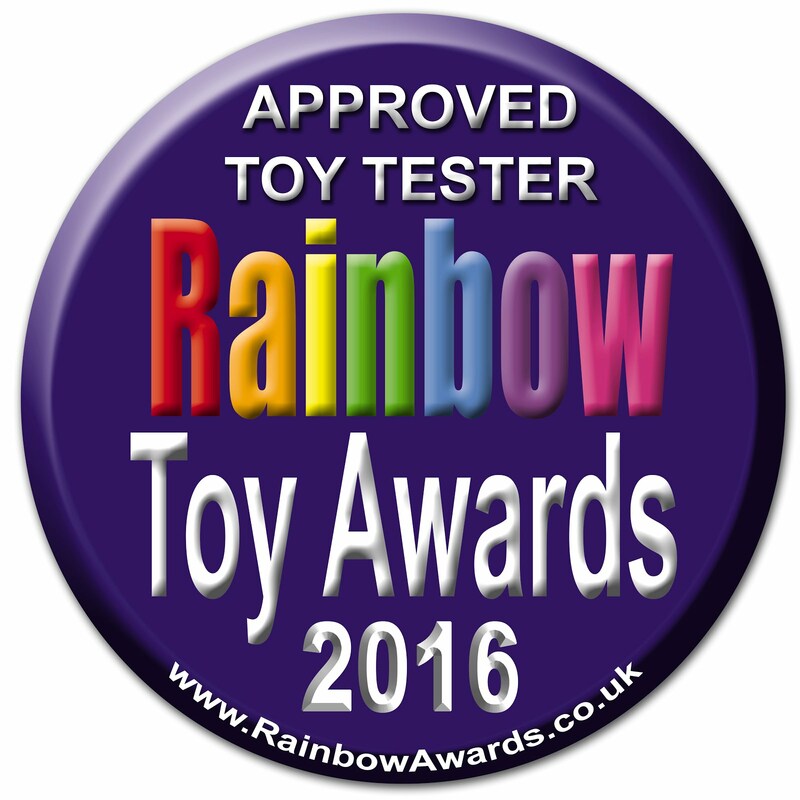 I was worried that they would move in my sandal and be uncomfortable but they stayed put all day, this is due to the non-slip technology which ensures they stay firmly in place. 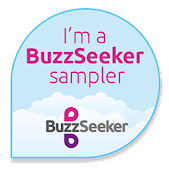 I am really impressed with this product and will be buying some more packs for my other shoes. 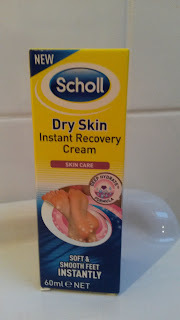 The final product I was sent was the Scholl Dry Skin Instant Recovery Cream. This product helps to get rid of dry skin on feet which after all that cycling was just what I needed for a spot of foot pampering. I generally just use a normal moisturiser on my feet but I will be swapping to Scholl in future as I could see an improvement after only a couple of applications. The cream is rich and absorbs easily on my feet without leaving them greasy. I have been using it morning and night for 2 weeks now and my feet are definitely in a much better condition, the soles of my feet are much softer and the dry patches have cleared up now. To give my feet an intensive treatment I smother them in the Dry Skin Instant Recovery cream and put a pair of socks on before going to bed, in the morning my feet felt amazingly soft. 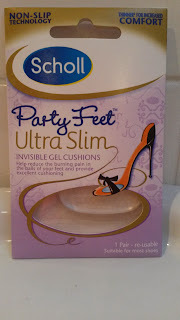 If your feet are in need of some TLC then I recommend that you try Scholl. 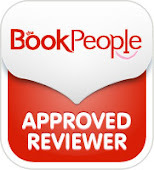 Disclaimer - I received these Scholl products for the purpose of this review but all words and opinions are my own.